When the fixtures for a season are announced, being a Manchester United fan I quickly check two fixtures - Liverpool at Anfield and the derby at Old Trafford. Then I switch to the La Liga to see when the first El Clasico of the season is scheduled. 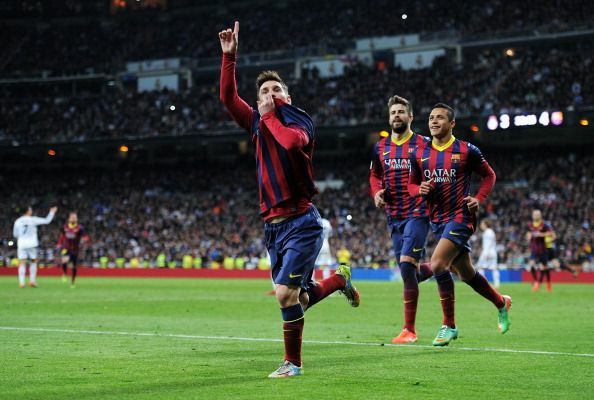 The Clasico has everything that one loves about football. The best players in the world, a historic rivalry to remind everyone why the game is so important, and now a rivalry that has taken football to a new level altogether. When Cristiano Ronaldo moved to Real Madrid in 2009, most people wanted to see how the two best players on the planet would fight it out in one of the most watched games in the world. They have certainly not disappointed. Since his £80m move to the Los Blancos, Ronaldo has scored a staggering 376 goals in just 363 games while his counterpart has scored 392 in 386. Not only have these numbers been unprecedented in football, it is a feat that no one can dream of achieving in the foreseeable future. Slowly and steadily, it has become the most talked-about rivalry since the Pele-Maradona debate and the best/worst part is that they exist in the same era. Messi has already won the title of the world's best player five times, while Ronaldo has three to his name - though he is the favorite for the crown this year. 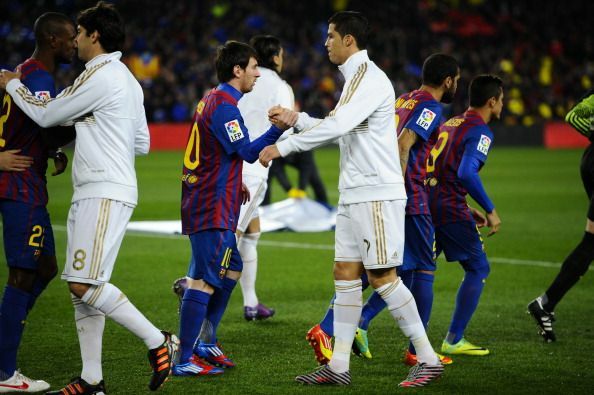 Real Madrid had gotten off to a terrific start to the season beating Barcelona in the Spanish Super Copa on away goals. However, the league campaign was off to a horrendous start winning just one of the opening four game. Barcelona, on the other hand, had started with a perfect record of six wins in as many games. The first Clasico of the season was scheduled at the Nou Camp and a Barcelona win would take them 11 points clear of Real with just 7 games played. Real started the game as the better side with chances falling for Karim Benzema and Sergio Ramos, but both players put their efforts on the wrong side of the post. Benzema did, however, play a crucial part in the 23rd minute to set up Ronaldo for the first goal of the match. When the Frenchman received the ball from Sami Khedira at the top of the box, Ronaldo was in an offside position. The Portuguese quickly made himself available for a pass and when he got the ball at his feet, he spotted a small gap at the near post. That was all he needed as he smashed the ball past Victor Valdez to hand Real the lead. But Barcelona, who had not been able to gain a foothold in the game, recovered quickly and it was no surprise as to who brought them back on level terms just eight minutes later. Pedro tried to cross the ball into the dangerous area when he got the ball on the right wing, but it took two deflections - first off Ramos' heel and then off Khedira's knee as the ball looped into the air. Pepe misjudged the ricochet and missed his header completely. Messi was the first to react as he put the ball past the onrushing Iker Casillas, who came out to narrow the angle. Messi then put Barca ahead with a brilliant curling free-kick in the 61st minute. Casillas made an effort to save it but even he would have known that it was a waste of time as the net bulged for a third time in the game. Five minutes later, however, Real called the scorers into action again when Ronaldo's well-timed run was spotted by Mesut Ozil. The German playmaker bisected the Barcelona defense with a beautiful throughball that put Ronaldo through on goal. The Portuguese gave Valdez the eyes and just placed the ball into the bottom left-hand corner of the goal to level the scores again. Barcelona finished the game as the better team, but with the draw, Real made sure that they took an early advantage in the head to head race between the two. One of the best games of football that I have seen in my life. The game had seven goals scored in 90 minutes, a fight at the end of the first half, controversy surrounding the 3 penalties that were awarded in the game along with chances being created right, left and centre. Real had spent most of the season in third place behind Atletico and Barcelona but a recent change in fortune had seen them take a three-point lead over their cross-town rivals and a four-point lead over their eternal rivals. A win would effectively had ended Barcelona's chance of winning the title with just eight games left in the season. Atletico played first and won their game going top due to a better head to head record against Real. Real came onto the Santiago Bernabeu pitch all guns blazing creating chances at will, but Benzema appeared to be having an off day as he missed a couple of fairly easy chances. It was Barcelona who took the lead, with just 6 minutes on the clock, through Andres Iniesta, who got at the end of a Lionel Messi pass to leather the ball past Diego Lopez in the Real goal. Benzema continued to miss chances on the other end but the worrying thing for Barca was that he was getting chances. He made them pay dearly with two goals in five minutes to put the Los Blancos in the lead. The second one was the goal of the day as he controlled a di Maria cross on his thigh before volleying it into the top corner of the goal. A minute later, Pique's clearance on the line ensured that the striker didn't finish a six-minute hat-trick. Barcelona clawed their way back into the game through Messi, who made sure the two teams went into the break on level terms. The Argentine played a beautiful ball to Neymar in the box but the Brazilian was quickly tackled by Dani Carvajal. Messi latched onto the loose ball and put the ball past Alves on the near post. Pepe and Fabregas got involved in a bit of a scrap after the goal and needed to be separated by the players. The controversies crept in during the second half. First Real Madrid were awarded a penalty when Dani Alves brought down Ronaldo with an outstretched leg. The replays clearly showed contact but it was just outside the box. Ronaldo converted his spot kick to give Real a lead for the second time in the match. Barcelona had a bit of luck of their own when Messi put Neymar through on goal and the Brazilian ran across Ramos, who was adjudged to have fouled Neymar and was sent off for his challenge. The replays suggested that the Brazilian was borderline offside and there was minimal contact on him, but Messi converted his penalty to bring Barcelona back on terms. The referee then awarded his third penalty of the game when Iniesta went down under the challenge of Xabi Alonso. The replays suggested that there was contact but Alonso had taken a bit of the ball as well. Messi stepped up again and converted the penalty to put Barcelona ahead - a lead that they went on to hold till the final whistle. After moving to Real in 2009, Ronaldo was yet to get a win or a goal against the mighty Catalans. It wasn't until the arrival of a certain Jose Mourinho at the Bernabeu that Real looked like they could compete with Barcelona. Ronaldo had already lost four games to Messi in his two years at the club and the two faced off again in the Copa del Rey final. 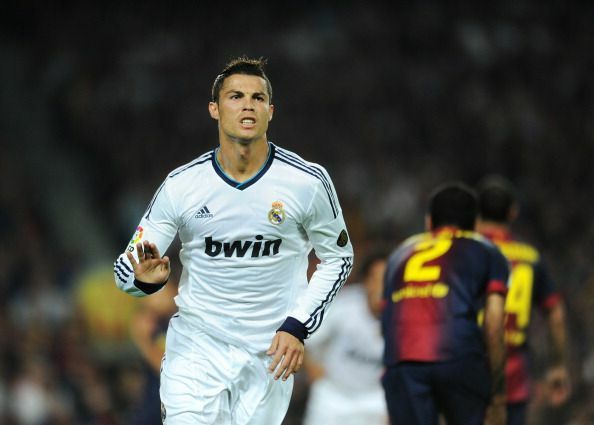 Ronaldo was high on confidence after scoring his first Clasico goal, in the league, just four days prior to the final. This was a time when the matches were more like wars and both teams played with aggression and a red card was almost a must in these games that more often than not went to the team playing in white. The first chance of the game fell for the Portuguese from a tight angle on the right. Javier Mascherano was ale to clear the ball off the line after Pinto was beaten by the power on the shot. Ronaldo was through on goal again a few minutes later when Mesut Ozil tried to dink a pass from the right wing. Ronaldo used all the pace that he has in abundance but was unable to get close enough to the ball to get a telling touch on it. Mourinho's aggressive tackling was having an impact on the Catalans as they struggled to gather a foothold in the game. After the break, however, Messi and co. improved drastically and found the back of the net through Pedro after a brilliant Messi assist. But the goal was ruled offside by the linesman and the score remained level. When the goal finally arrived, it was Cristiano Ronaldo's brilliant header, while going backwards, that looped over Pinto into the far corner to hand Real the lead in extra-time. Real did collect their customary red card later on in the game when Angel di Maria was sent off for a second bookable offence. Messi has destroyed many teams single-handedly during his career. From Manchester United to Bayern Munich, every team in Europe has been on the wrong end of a Messi masterclass at one point or another. But this was the game where Messi just picked up the ball with an aim to show the world what he could do with a football, something no one else could. Football fans from around the globe had gotten their wish. There would be a Clasico in the semi-final of the UEFA Champions League in 2011. When the game ended, everyone could only talk about one thing, one man, one little genius. An exceptional performance by Iker Casillas made sure that they went into the second half as equals. Mourinho's plan of deploying Pepe as a midfielder had worked like a charm as Messi had not been able to influence the game to his full capabilities. However, Pepe was given his marching orders for the day after a wild tackle on Dani Alves. The sending off gave Messi the space he required to wreak havoc on the Madrid defence. With just under a quarter of an hour left on the clock, Affelay received the ball on the right wing just outside the 18-yard-box. An unfortunate Marcelo slip let the Dutchman take him on and put in a low ball at the near post. Messi, who had been standing outside the box the whole time made a run in front of Sergio Ramos to give Barcelona a much-deserved lead. It looked like Barcelona were going to take a 1-0 away win into the second leg at home, when Messi picked up the ball near the centre circle and went on THAT run to score THAT goal. The Argentine passed the ball to Sergio Busquets, who just stopped the ball, and then went past Lassana Diarra who tried to keep up with him but lost pace after a few yards. Sergio Ramos was next as he stepped out of defence to stop the Barcelona No. 10 but one touch was enough to leave him dead in his tracks. Raul Albiol was the next to see Messi flash in front of him as the Argentine went one on one with the keeper and passed the ball into the net with his weaker right foot. The goal will always be the highlight of the Messi goal montage and for me his greatest ever performance in the Clasico. For the first time in 4 years, Real Madrid had a realistic chance of winning the league title their fans so desperately craved. 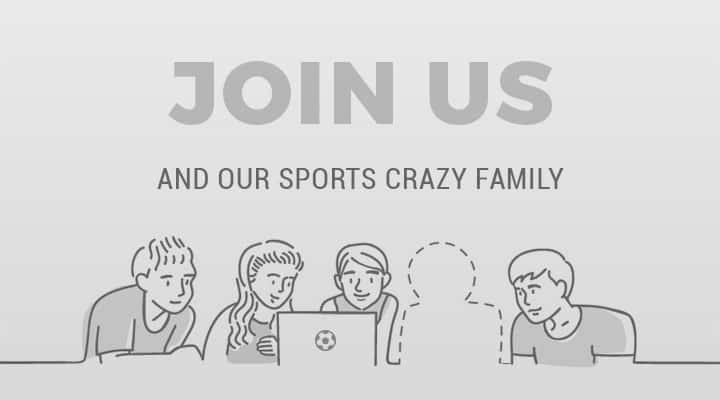 Going into the 35thgame week, Real had a slender four-point lead over their rivals knowing that avoiding defeat would put the Madridistas in the driving position in the race for the Championship. The first chance of the game fell for Ronaldo, who rose highest to meet a Mesut Ozil corner and tried to place the ball into the top right corner of the goal. The ball appeared to be dropping in but somehow, Victor Valdez managed to put the ball behind for another corner. As the clock struck 16 minutes, Real took the lead through an unlikely player but a very likely method. An Angel di Maria corner was headed into the ground by Pepe, and although Valdez somehow managed to keep the ball out, Khedira was at hand to put the ball over the line. After a disappointing first half, Barca piled on the pressure in the second half with both Messi and Xavi going close. In the 70th minute, however, Alexis Sanchez pulled the Catalans level after a succession of shots were kept out by Casillas and co. Messi picked up the ball at the half-way line and he rode three challenges before passing the ball of to Christian Tello. The youngster's shot was stopped by the Madrid captain but the ball came to Thiago Alcantara who tried his luck as well but his shot was deflected Arbeloa into the path of Sanchez. The current Arsenal player needed two attempts to put the ball into the back of the net after a Casillas save from point blank range. Real, however, were not to be denied a victory at the Nou Camp this time. Ozil played a through ball to Ronaldo from the right wing. The Portuguese used his pace to go past Mascherano and place the ball past Valdez, who had come off his line to narrow the angle. With a lead to hold onto, Real dug in deep and stopped everything Barcelona could throw at them and ended up winning not just the match but the league as well.